When I was a little girl my mother gave me a sticker book for my birthday that was all about birds. I don’t remember much about it except the Chickadee. I learned that it flew up and down like it was on a roller coaster. That’s all. I can’t remember anything else from that book, except that it was interesting to match stickers of birds with the descriptions. 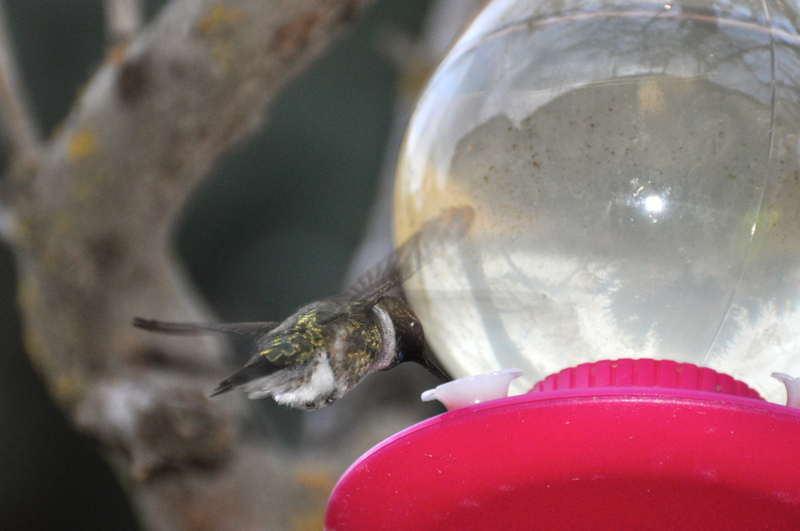 We went to the Wild Bird store and picked out a variety of feeders while he explained to me simple details of each. 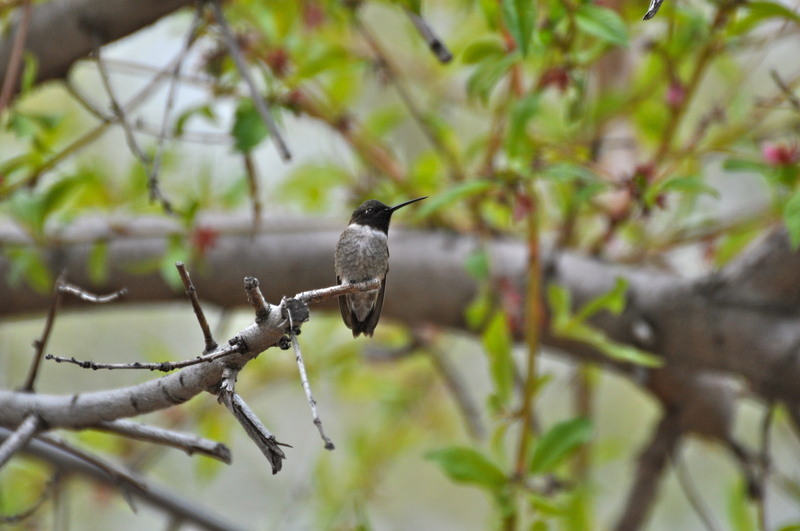 We bought the seeds together and he schooled me in suet, niger (thistle) seed, and sunflower seeds. The whole process of doing this together actually piqued my interest. (Or maybe I was so smitten I simply didn’t care.) He also bought me my first field guide: The Golden Books Birds of North America field guide. “You’ve got a great variety of bird life here,” Steve told me. “Really? I never noticed,” I told him, and then I felt a little ashamed, thinking for certain the relationship was now over. Then it happened. All of a sudden I noticed all the birds in my backyard. In fact, they were all over the place. “Had they always been here?” I thought. I know my neighbors just on the other side of our fence had feeders (they’re also pretty serious birders), but still I didn’t notice all the birds until I had my own feeders. 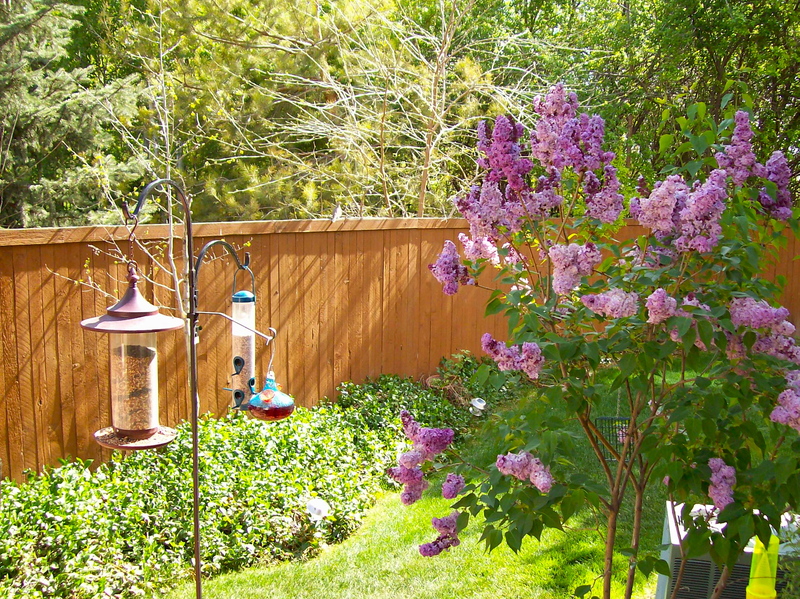 I soon found myself wanting to sit at the kitchen table for hours as I watched all the bird life in my backyard. 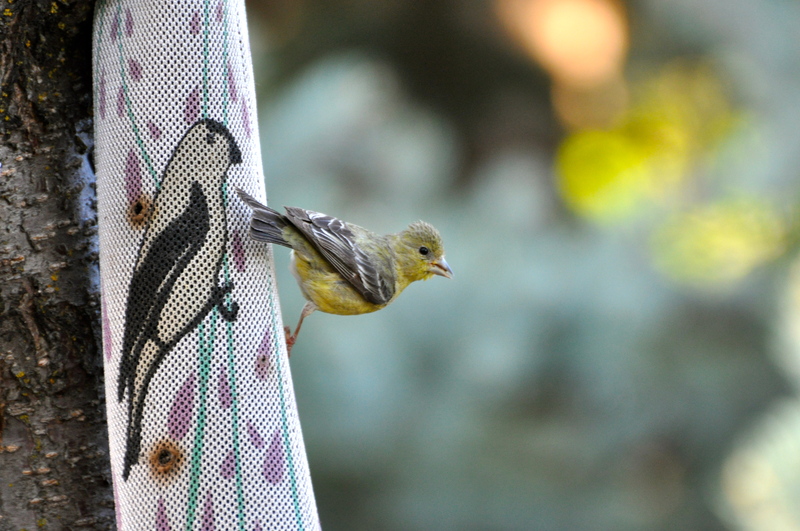 The birds have changed my life more than just noticing new visitors to my backyard. The idea of starting my day looking out the window as I eat breakfast is an extraordinarily wonderful way to start my day before I head to the office where the stress is undeniable. I also soon found myself looking at what birds are around when I come home (if there’s daylight when I come home). 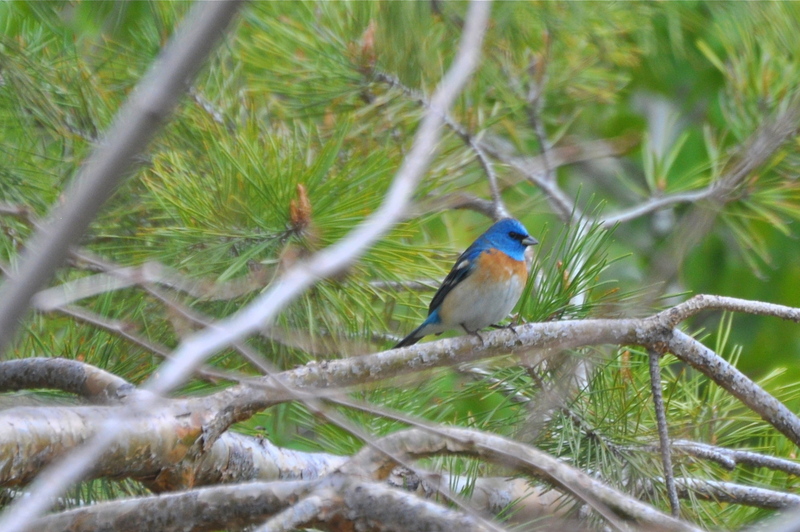 In fact, one day I found over 10 Lazuli Buntings in a tree, all queued up to take their turns at the feeders. 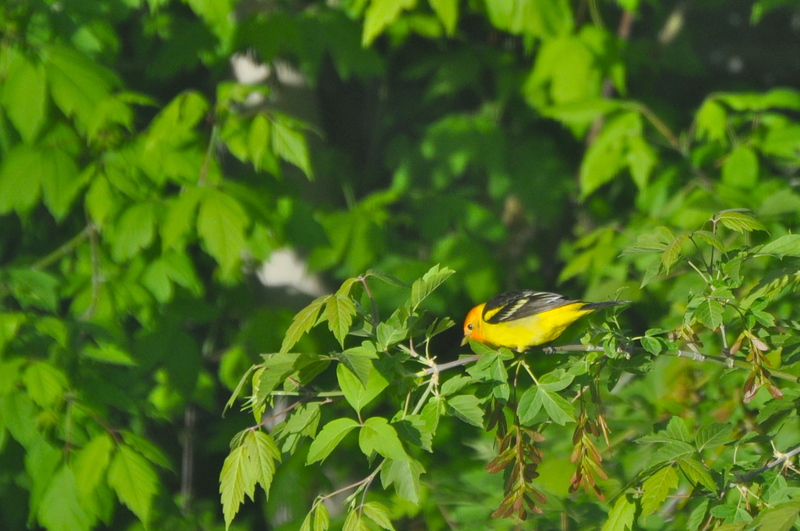 I had never seen the beautiful bird before and I hurriedly phoned Steve who was in Calgary, Alberta at the time and described the bird so he could tell me what it was (which he did–I wasn’t confident at using my field guide yet). It is now a treat to look for these migrating Buntings every Spring for the few weeks they hang out in my backyard before they make it to their temporary canyon homes for the summer. It’s weird that I lived here in this home for four years and hardly noticed the birds. It makes me wonder how many other spectacular things in life I’ve missed. I married that guy I met online who waited until he was certain I liked him before he told me about his passion for birding. (“It’s not the first thing you tell girls,” he told me later.) 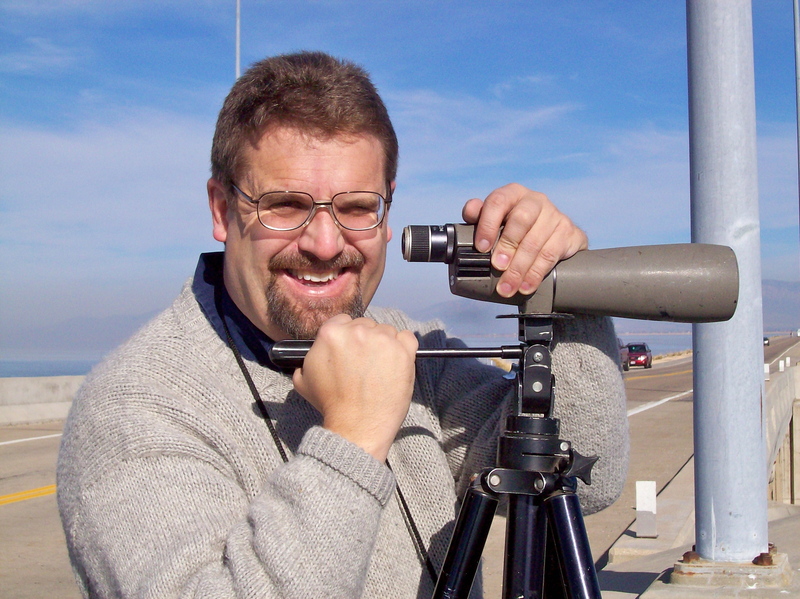 In fact, for a wedding gift, he gave me my first pair of binoculars and our honeymoon to the Yucatan was a birding adventure with bird guides set up in three different locations in that part of Mexico. 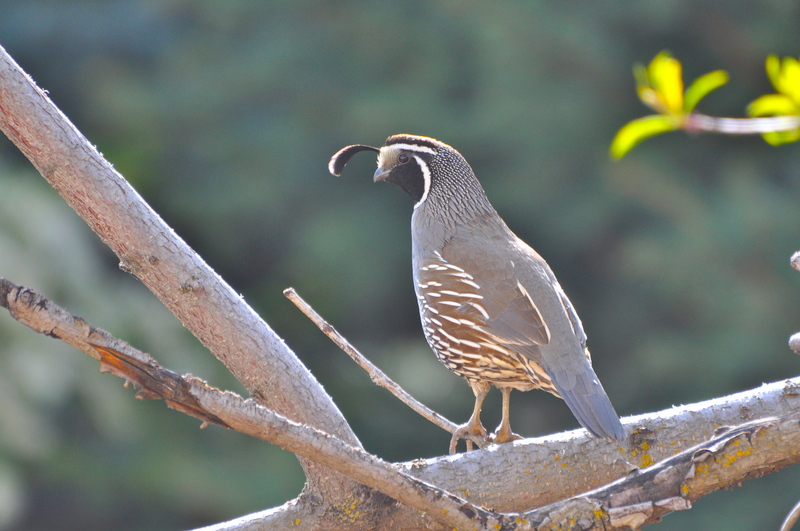 The California Quail are some of the most interesting birds to watch in our backyard. Oh yes, the Chickadee. We have a family of Black-capped Chickadees in the backyard too. Click on a photo and it will take you to the slideshow for better viewing. 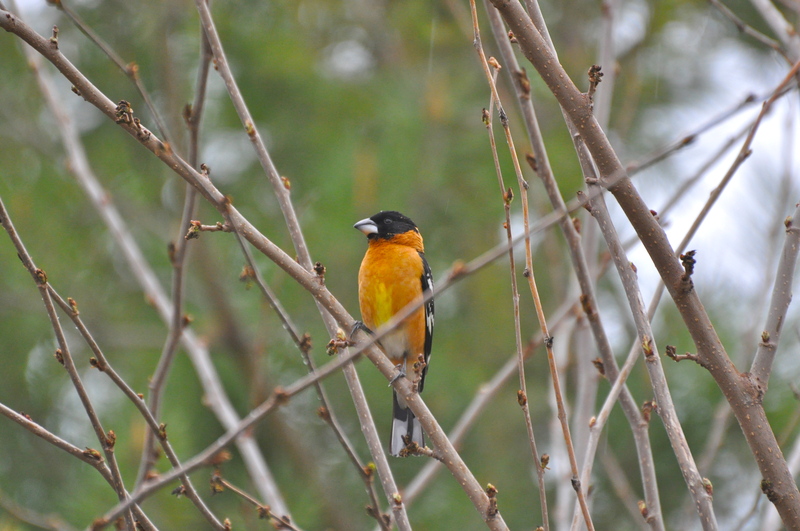 This Black-headed Grosbeak was singing his heart out in the rain for quite a long period. I was completely fascinated that he didn’t mind the rain, nor did he mind that I was taking his photo. 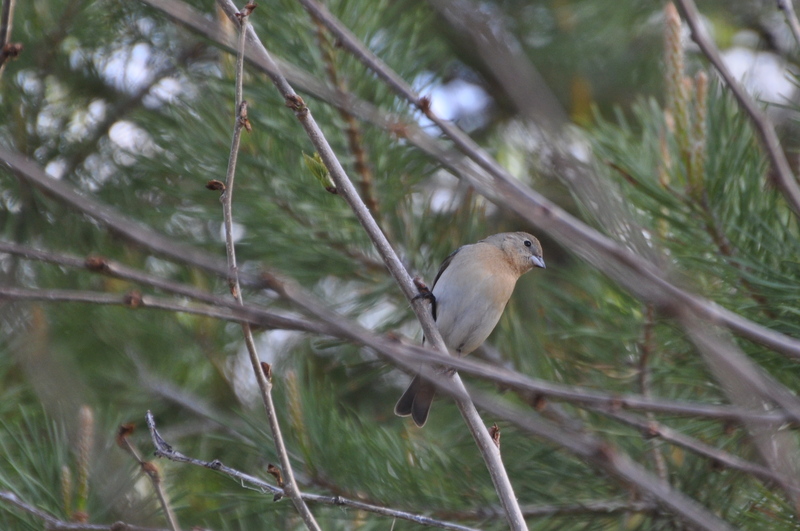 Not as skittish as the other birds. 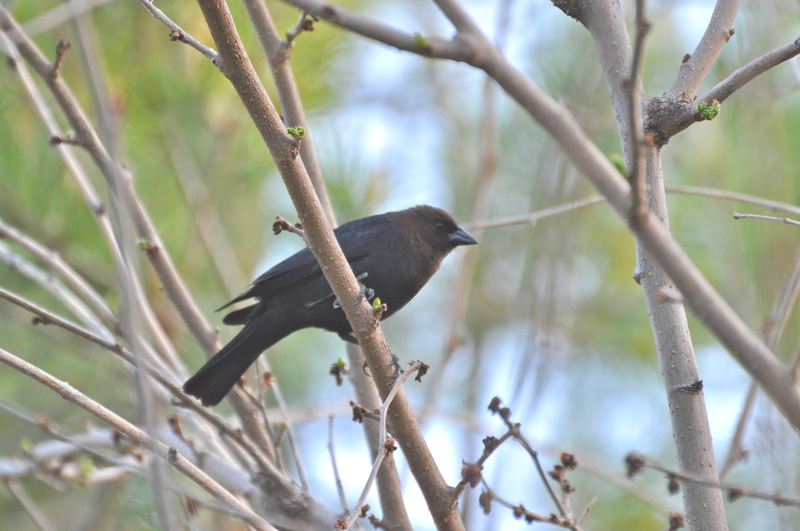 I get it that the Brown-headed Cowbird is a nest parasite. But I love, love, love the gulp-gulp-gleeee song. It’s so interesting. 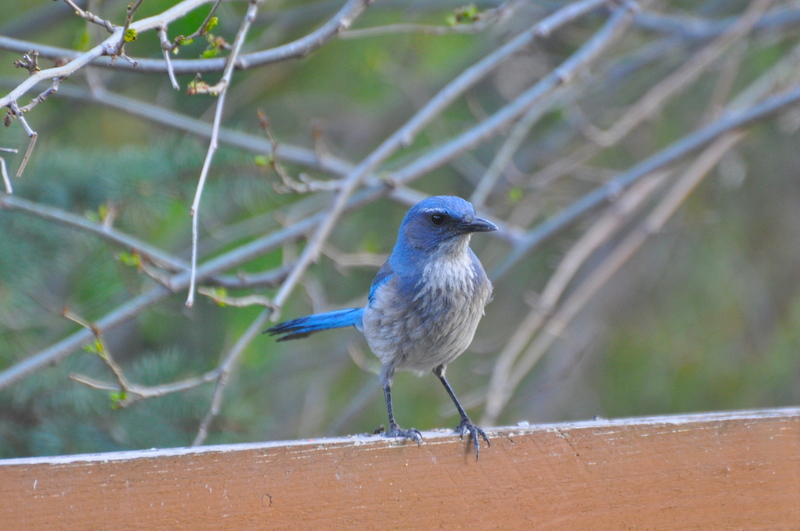 Fortunately, we don’t get many Cowbirds in the backyard. 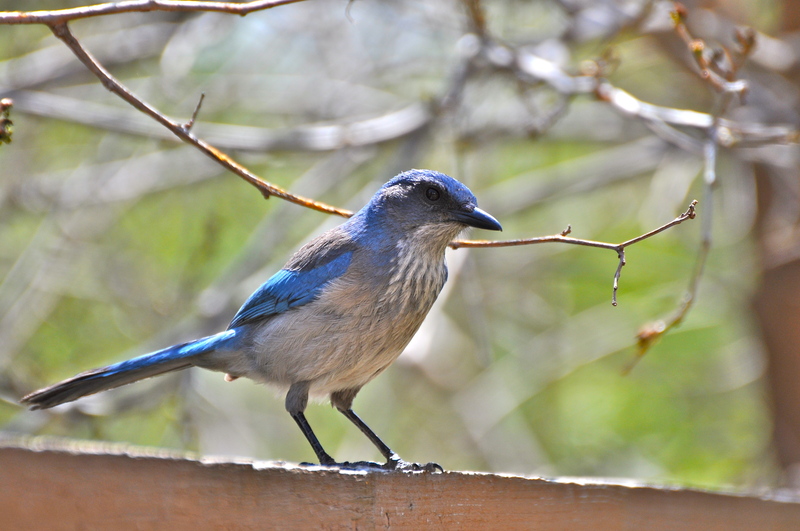 We like to call this Scrub Jay “Blue.” Actually, our neighbors came up with the name. Loves peanuts! ← Naked Germans and screaming monkeys make birding in Tikal exciting! Wonderful post! It’s always fun to hear how people get interested in birds. Thank you so much Sue. How did you become interested in birds? Thanks Jolie! Glad you stopped by. For some reason this beautiful post brought tears to my eyes. Birds have changed my life too. You two are wonderful! Awwww, shucks. That’s very kind of you to say. I’m glad birds have changed your life too. What a wonderful thing we can share and we’re so far away. Thank you very much Laurence. You are so right–birding with loved ones is the best. We’re so fortunate to have this shared hobby.